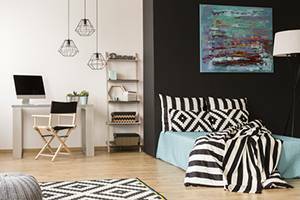 One of the visual elements taken into consideration for decorating a space is color, and many are afraid to experiment with eclectic, bright tones, narrowing their color palette to off-whites or earth tones. So what are the tips for picking paint colors? A good starting point to inspire your decoration journey and select a favorite color is selecting a piece of furniture, a painting or any accessory of your liking and pick a color drawn from it and chose the main color for your walls that will either contrast, complement that piece and make the entire room cohesive. For example, in this photo, the comforter was the main element to serve as inspiration for painting the bedroom walls. 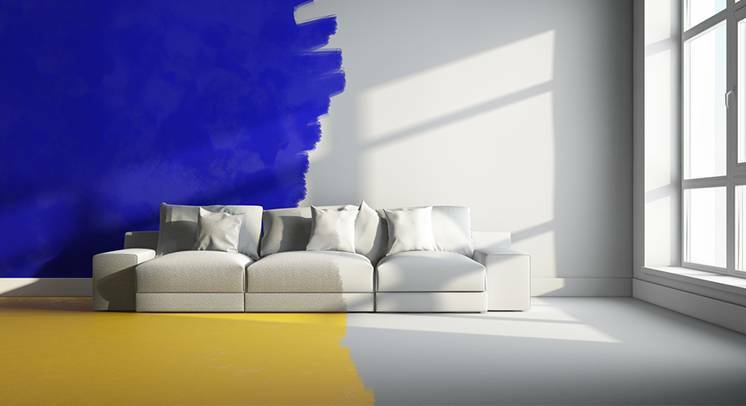 So, what colors are appropriate for certain parts of a home? Colors have meaning and play a huge roll in our moods. 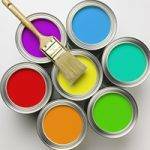 Can you imagine painting the main bedroom a bright color and not being able to sleep later due to its strident effects? Nevertheless, that color can be painted on the back wall of your headboard and another color in front of the bed that is more extenuating and inviting to go to sleep and rest. Also, if you find a color that is too bright but you like it, it can be for cushions or smaller decoration pieces. 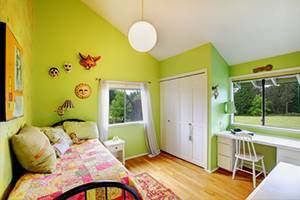 However, for a kid’s bedroom creating an active and exciting atmosphere with a bright hue palette might be an option, but again take into consideration not to overstimulate your children as some brighter colors can lead to irritability moods. Usually, guest bathrooms are small and painted with off-white colors to make the illusion of a bigger space. However, people are taking more risks and making a statement featuring red walls with stencil gold adornments to recreate a texturized wall effect. The idea of having more space in a bathroom comes from being more comfortable and move freely while showering. 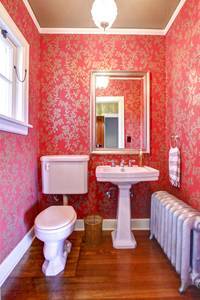 However, guest bathrooms don’t have these space and are up to you how colorful, creative or subtle you make it. Feature a wall or the entire wall with a bold color instead and take risks with the decoration. 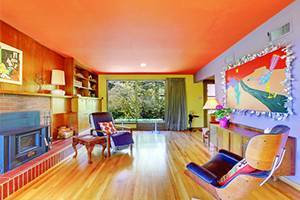 Start small, if you’re not sure where to begin, with more dramatic colors. Maybe you experiment with one wall that is going to contrast completely with a piece of art of your liking. For example, start with a neutral decoration, small hall or area between the bed and the desk rooms. If you’re the type of ‘”do it yourself” person, pick an area that’s quick to paint so you can see your results sooner, and gratify yourself with it for the risk take and change of it. Look at the whole process as an adventure! Finally, for a dining area, it all depends if you want it sociable and stimulating or formal and quiet, warmer hues, contrasting with brighter colors add to an engaging atmosphere. However, deeper blue-greens and neutrals give a formal ambiance to the area. XPO Blinds – If you need tips in Matching Your Window Treatments and Blinds with your New Color Scheme call us at 786- 678-0199.